Next story in More Cruising News & Features Are stingray tours safe? Visitors tour the promenade of the cruise ship 'Freedom of the Seas' as it sits at New York Harbor in New York May 13, 2006. 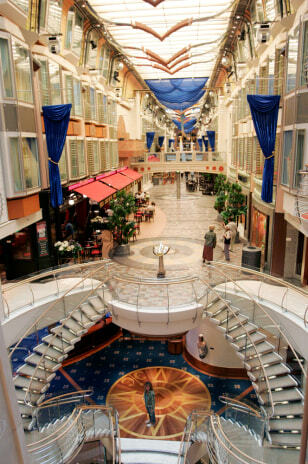 At 158,000 tons, the Freedom of the Seas is the world's largest passenger ship.